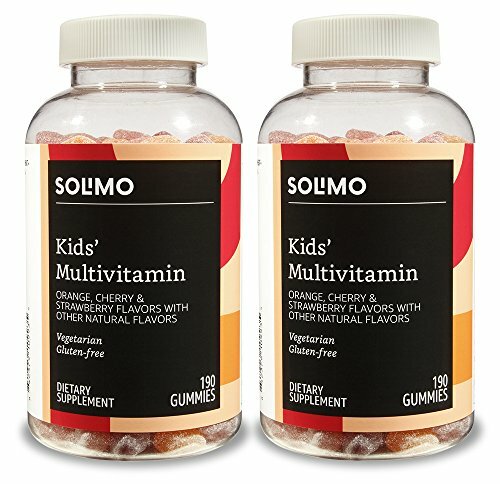 Solimo Kids' Multivitamin gummies feature orange, cherry, and strawberry flavors with other natural flavors. They're vegetarian and gluten-free. Kids two years and up - chew two daily. Chew thoroughly.